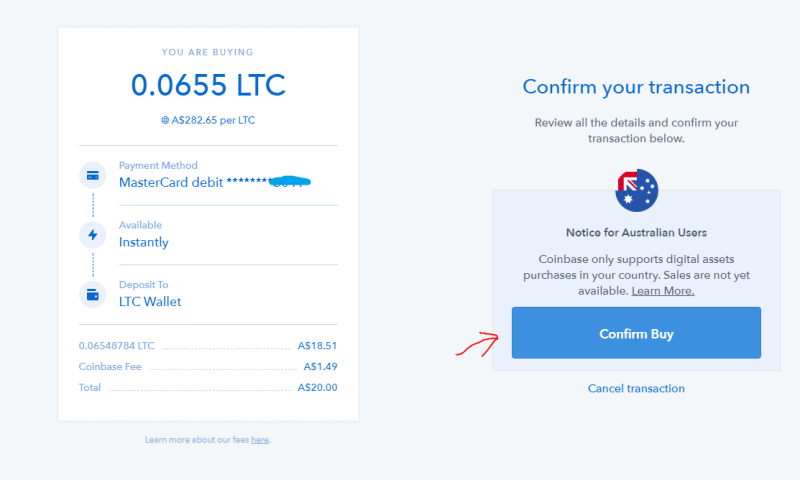 This guide will show you step by step how to buy Bitcoin using Coinbase in Australia. It will take you to the sign up screen. Step 3: Enter your details and sign up. You will then need to go into your email account to confirm your email. 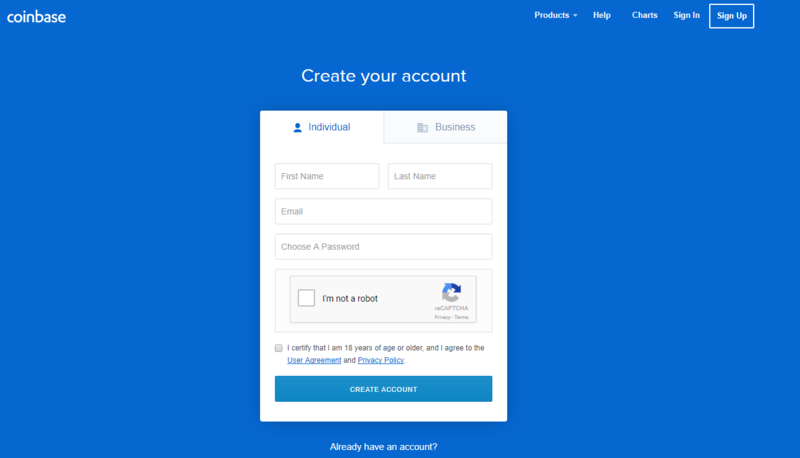 Once you’ve signed up successfully, Login and you will come to the main dashboard screen below. Step 4: Choose your payment method, and enter your payment details. 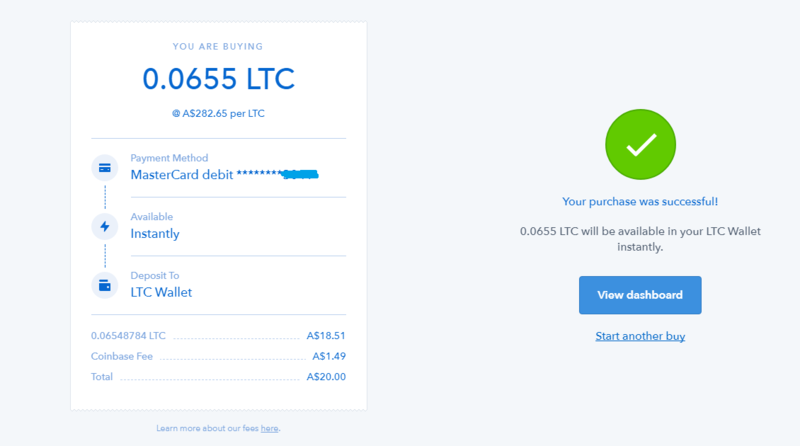 I use my debit card as it gives me Bitcoin instantly, you can also add your bank and use that but it takes several days to transfer. As the Bitcoin price fluctuates I like to Buy Instantly so I get the current price. 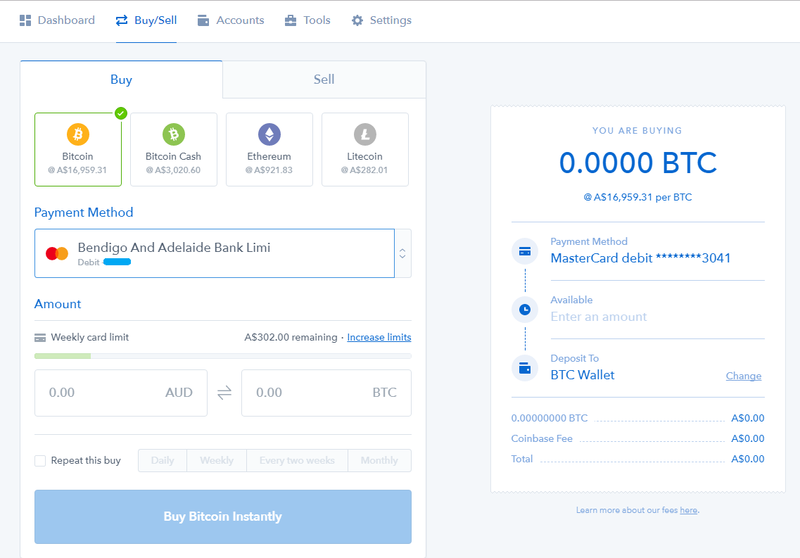 After you setup your Payment details, then it’s time to choose the amount of Bitcoin you would like to buy in Australian Dollars. 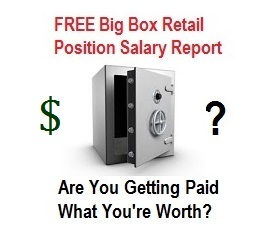 When you first signup you might get a $500 buy limit on your card, this increases week 2 after 1 successful transaction. Step 6: Enter the amount of Bitcoin you would like to buy. (Below I have input $100 AUD worth of Bitcoin). 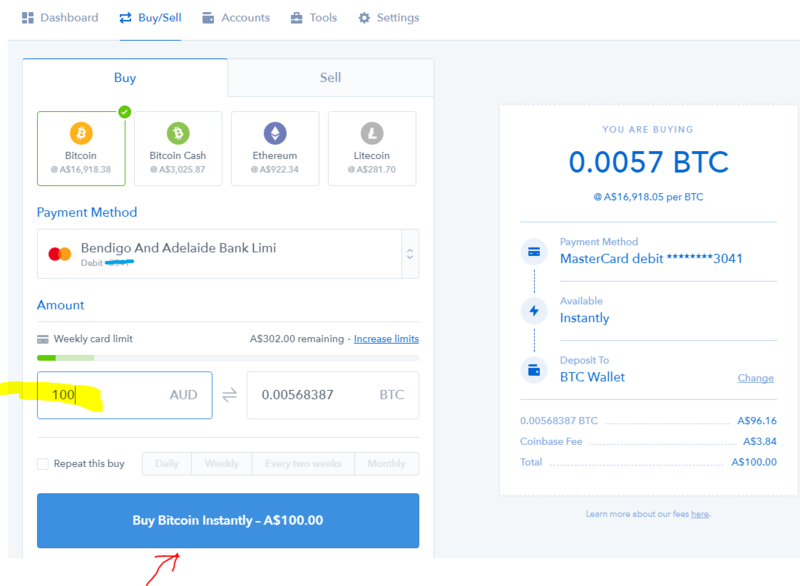 Then click the “Buy Bitcoin Instantly” button which will take you to a confirmation screen. Step 7: Confirm your transaction by clicking on the clicking the Confirm Buy button below. Ok your purchase was successful! You now own Bitcoin and a slice of the future of finance. Click on the View Dashboard button to check your holdings. This is your dashboard where you can how much your Bitcoin (and other cryptocurrency) portfolio value is. 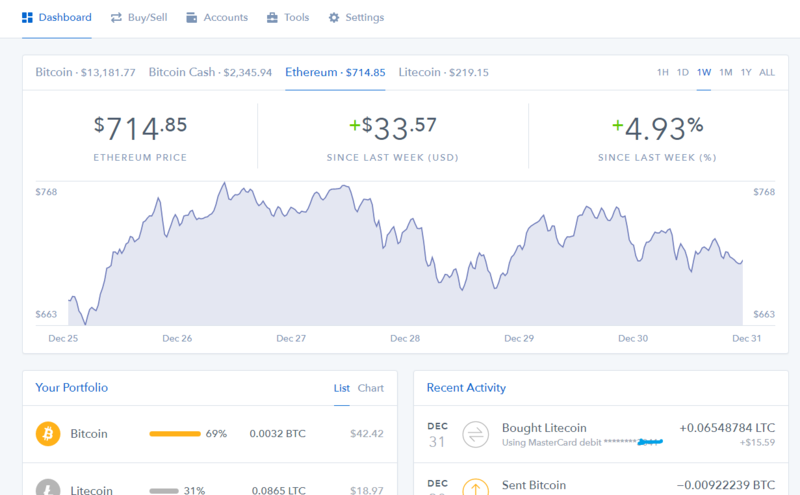 If you scroll down the page you can see all your previous transactions on the right and current holdings on the left. And that’s just how easy it is. 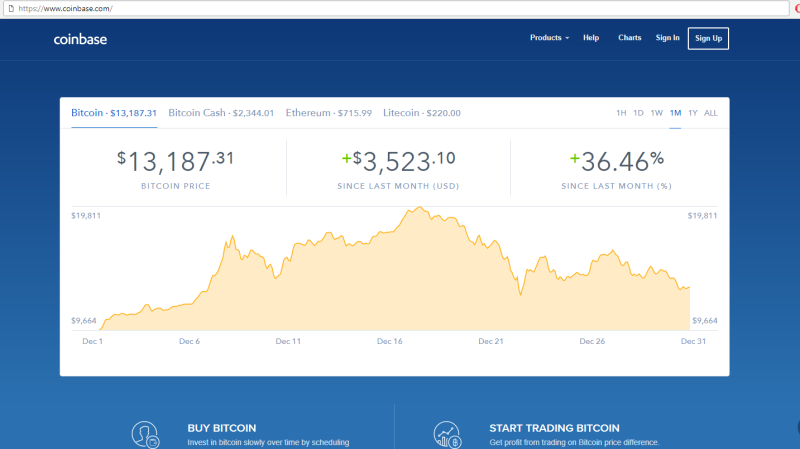 If you want to get started go to Coinbase.com and begin your cryptocurrency journey today! 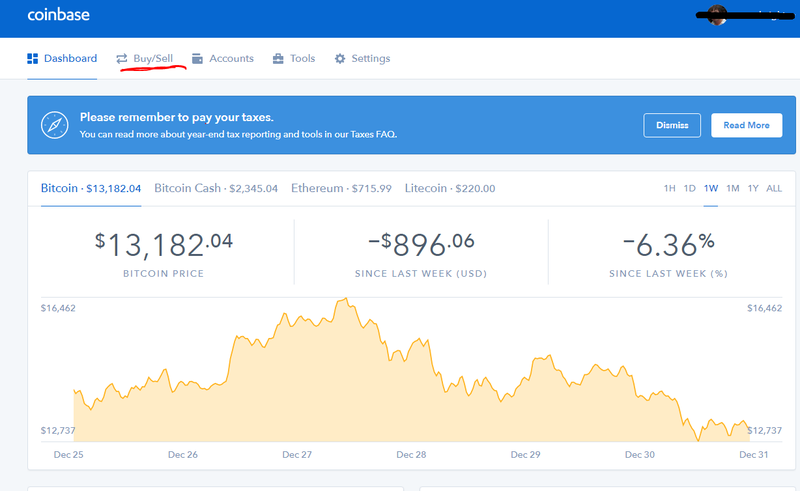 Note: If you use this link, you will also get a Bonus $10 worth of Bitcoin on your first deposit at Coinbase. 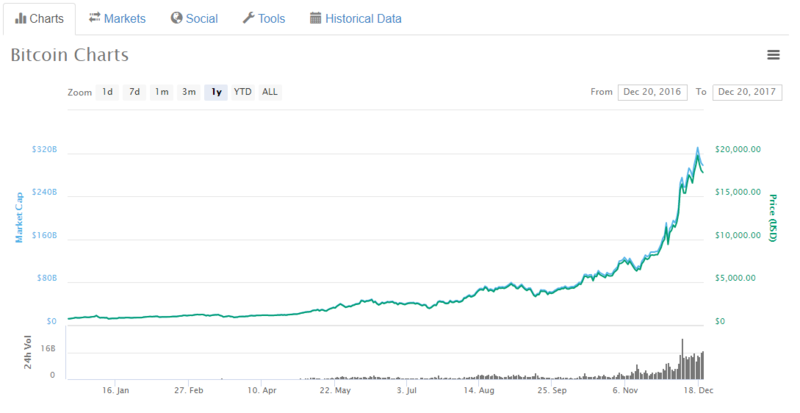 I hope this guide was helpful, if it helped you out please leave a comment or feel free to send me an email, I’m always happy to help anyone getting started in cryptocurrency. I just bought my first chunk of Bitcoin!